A functional air conditioner can save many hot days, so keeping your unit well-maintained is essential to surviving the heat. While most air conditioning repair and maintenance work is done by professionals, there are some things that you can do to keep your AC from breaking down in the middle of a hot day. Nothing is worse than turning on your AC at the beginning of summer only to find out it’s not working. While the weather is still relatively mild, turn on your air conditioner and pay attention to signs of needed repairs. If you notice squealing, grinding, or grating sounds, moisture forming around the air conditioning unit, or if it simply isn’t blowing out cool air, you need to call your HVAC specialist to perform repairs. Periodic air conditioning maintenance and regular inspections can help ensure that your air conditioner is in its best condition. It also helps minimize problems, such as the previous signs that will ultimately require repairs. Upon installation, ask your trusted HVAC contractor to suggest a maintenance schedule for your home’s equipment. Between scheduled maintenance appointments, check your air filters and make sure you clean or replace them as indicated in its manual. Inspect the drip pan and condensate drain lines for clogs, as well as signs of algae growth. There are small brushes that look like drain snakes, which you can buy and use for cleaning the drain lines. For efficient operation, keep furniture, window treatments, and decor away from the vents. 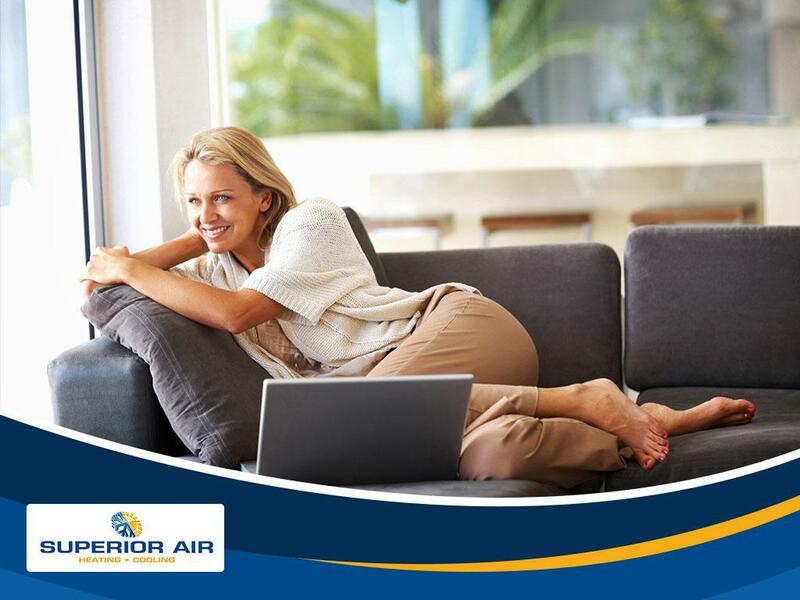 Airflow is important so the cool air reaches every corner of the room. Anything that blocks the air conditioning vents will affect its efficiency. It also helps improve circulation that cools the air faster, which uses less energy. Doing all of this can help ensure that you can enjoy this summer comfortably. To learn more about our air conditioning installation, repair, and maintenance services, call Superior Air today at (559) 342-0023 or fill out our contact form. We serve many areas in and around Tulare, CA.